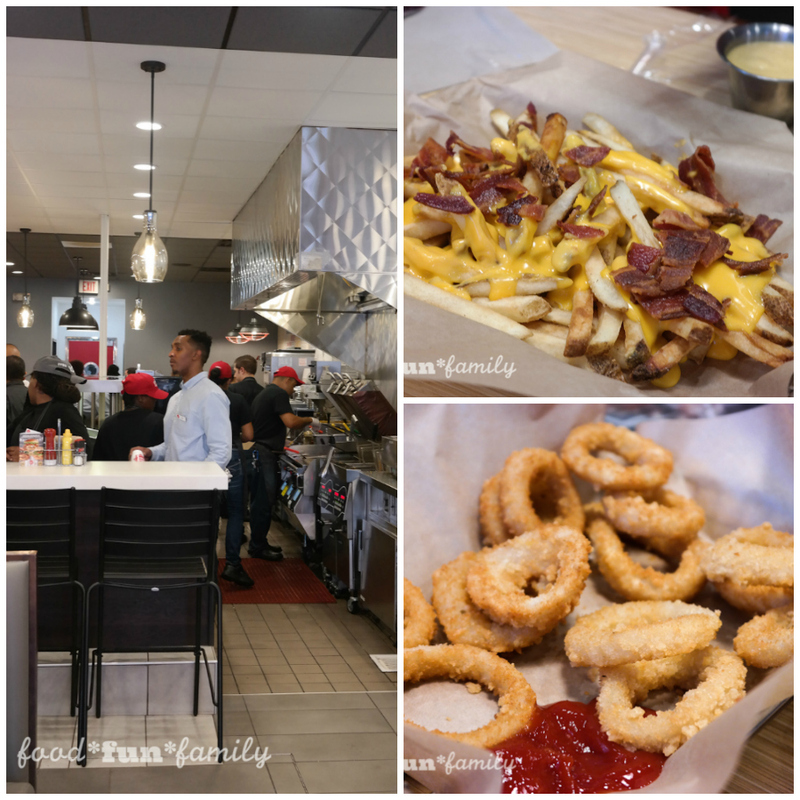 My family and I were invited to experience Johnny Rockets’ new look at their DC Georgetown location last week. This post has been sponsored by Johnny Rockets, but all thoughts and opinions are my own and my family’s. Johnny Rockets has a special place in my heart. After my daughter got married this spring…after the wedding and the pictures and the reception were over, the kids went home to grandma and grandpa’s house and my husband and I crashed from exhaustion – both physical and emotional. Being the mother and father-of-the-bride is a big deal. Because we ended early in the evening and knew that we’d need to eat some real food before the night was over, we decided to walk around the hotel to see if we could find something to eat. Our walk took us to Johnny Rockets, where we were finally able to decompress, relax, and fill our bellies. We left Johnny Rockets that night feeling so content. It was the perfect way to end the wedding day. Fast forward to last week, when we finally got the vacation that I had so desperately needed all summer. We were driving home on Friday afternoon, but quickly realized that the DC-area traffic was not going to make it easy for us to get home before we stopped by the media event at Johnny Rockets. We headed to Georgetown straight from our vacation and walked along the canal until it was time for us to check in at the restaurant. A funny thing happened when we sat down for our dinner. We were tired from our 4+ hour drive. We were sweaty from spending 30+ minutes walking outside in the oppressive heat and humidity that we had last week. But when we started eating, the heat and the fatigue washed away. It was the most perfect way to end our 4-day vacation. Instead of arriving home tired from hours in the car, we got home feeling rested and well-fed. Johnny Rockets is a global restaurant chain that has been around for 30 years and is in 28 different countries with over 350 restaurants. The Georgetown location has been there for 18 years. 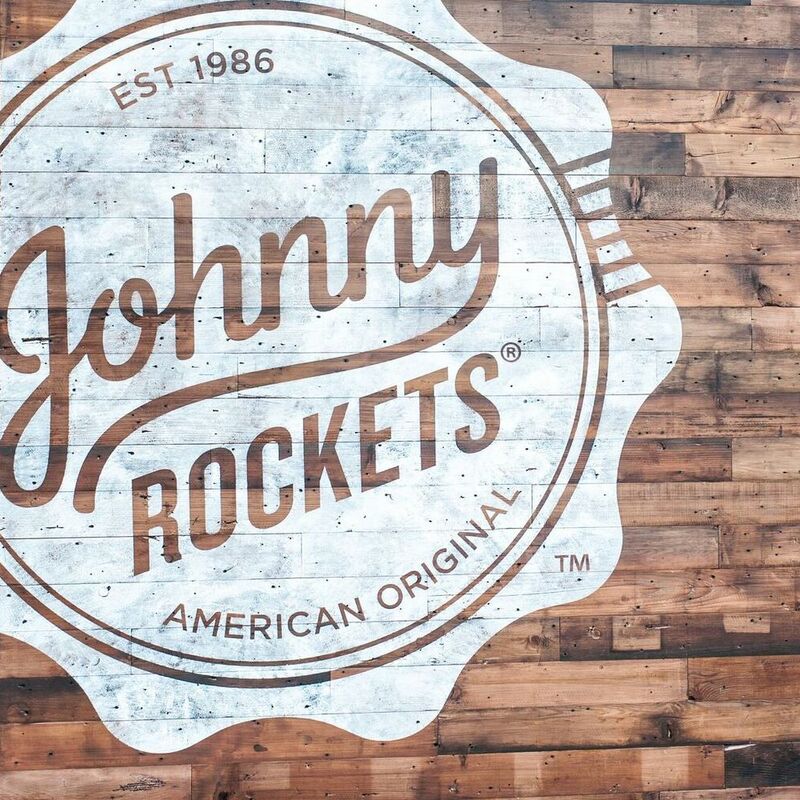 To celebrate its 30th anniversary year, Johnny Rockets is debuting a brand refresh, with a new logo and a “modern evolution” of the iconic images, style, food, and experience that we’ve known and loved for the last 30 years. Johnny Rockets’ hand-spun shakes are made with premium ice cream – a proprietary blend made just for Johnny Rockets by Blue Bunny. 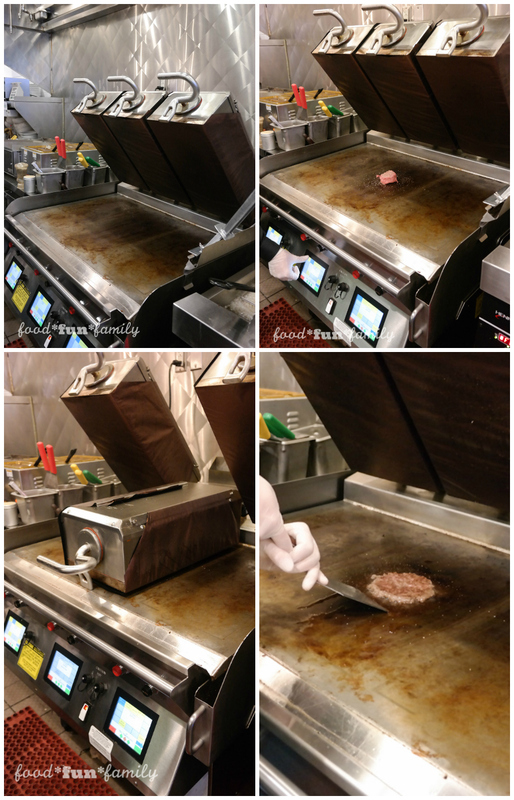 Johnny Rockets’ cooked-to-order burgers are available in 4 protein options: fresh, never frozen 100% domestic farm-raised beef, farm-fresh chicken, ground turkey, and Boca Burger. Everything – from the classic made-to-order burgers to the new design – is inspired by lots and lots of consumer testing. They really care about what their customers think and want. In the new restaurant design, they’ve included elements of the classic diner, including counter seating. But they’ve updated the layout so that everything is not fixed in place. There are communal tables for friends and family, and room for many different sized groups. The 50s diner look that Johnny Rockets has been known for – complete with jukeboxes and servers dressed in soda fountain uniforms – has been replaced with remixes of classic music an pop music of today and new uniforms for the servers. 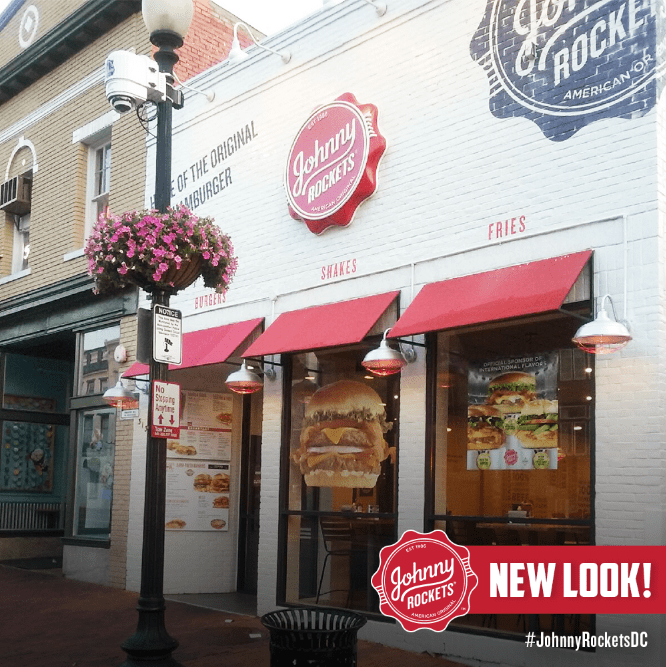 Johnny Rockets trains their team members with easy to access online training guides as well as on-location training. If you order a burger in China, you’ll get the same burger you’ll get here in DC. That’s because the chefs make sure to develop recipes that are easily replicated, no matter where they are. In the near future, all Johnny Rockets franchises will be updated to the new design and logo. 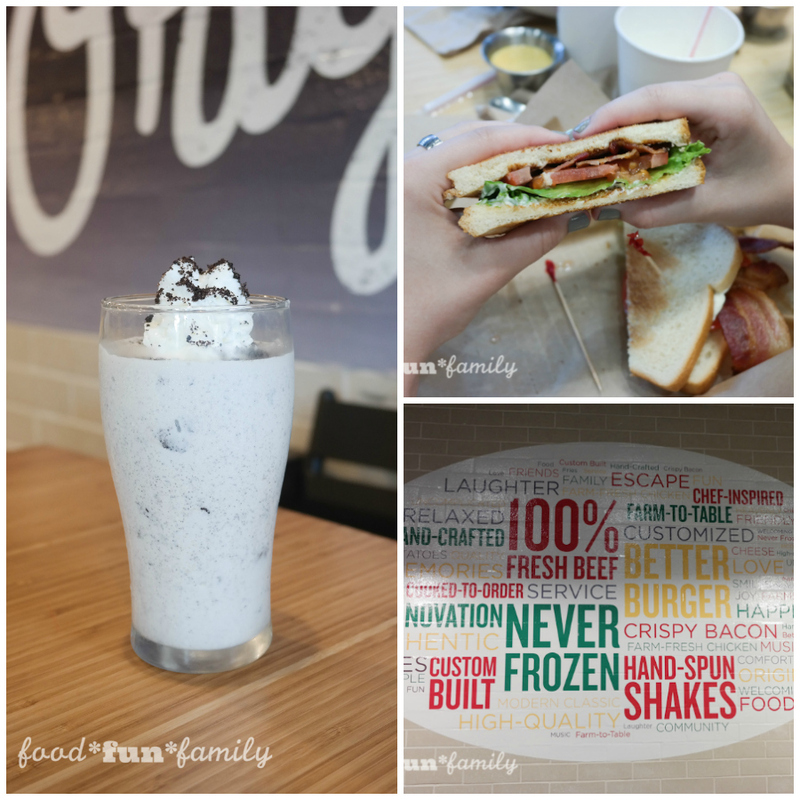 As for our family, we can’t wait to head back to our local Georgetown location! 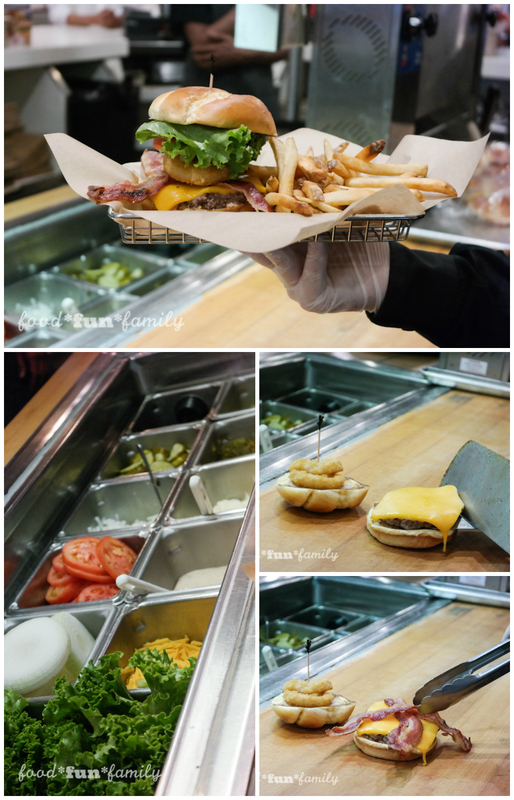 Johnny Rockets is an international restaurant franchise that offers high quality, innovative menu items including fresh, never frozen 100% beef cooked-to-order hamburgers, veggie burger, chicken sandwiches, crispy fries and rich, delicious hand-spun shakes and malts. This dynamic lifestyle brand offers friendly service and upbeat music contributing to the chain’s signature atmosphere of relaxed, casual fun. Founded in 1986, Johnny Rockets operates more than 350 franchise and corporate locations in 28 countries around the world. For more information, visit www.johnnyrockets.com.